The chalet is located 4 kilometers from the village of Saint-Mathieu. 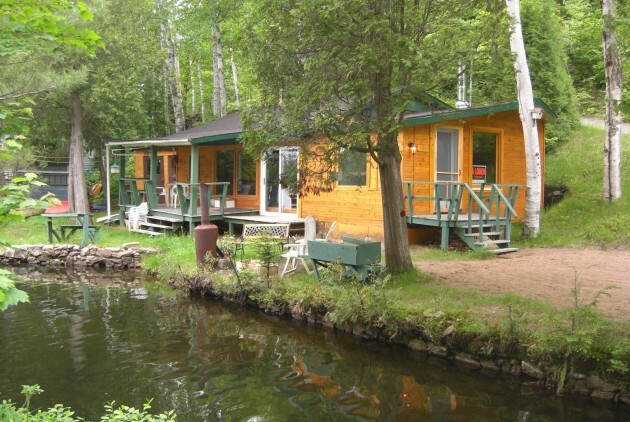 It offers swimming, fishing and kayaking since it is located directly on the shores of Lac Gareau. As no gasoline engine is allowed on this lake, the water is very clean. The cottage is fully equipped (bedding, kitchen, outdoor BBQ, fondue and raclette pan, dry sauna and fireplace inside and outside). Two kayaks are also available on site. A small paradise. Surrounded by mountains, forests and lakes, our cottage offers peace and comfort. This place is ideal for any customer wants, whether local, provincial or international. The Saint-Mathieu-du-Parc is surrounded by about sixty lakes. It is with pleasure that we welcome you during the summer season.